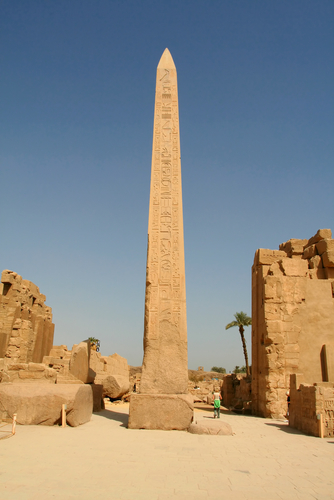 Eratosthenes used the Summer Solstice Sun, an obelisk, and a well to calculate the Earth's circumference in 2300 B.C. Today is the Summer Solstice, the longest day of the year (for us North of the Equator) and the official start of the summer season. For many people, this serves as a chance to celebrate what is, for many people, their favorite season. 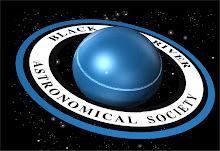 For astronomers, and especially those intersted in the history of the science, the Summer Solstice also marks a major anniversary in the quest to undestand the universe and our place in it. An obelisk like this one was the first piece of the puzzle. 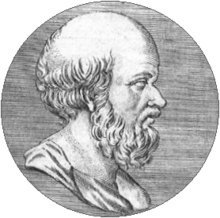 Eratosthenes was the first man to measure the circumference of the Earth. The whole drive to do such an audacious thing came from curious stories coming out of Egypt. In Syene, Southern Egypt, it was said that at noon on the longest day of the year, and only on this day and at this time, the Sun would illuminate the water at the bottom of a deep well that was in shadow at every other time in the year. However, in Alexandria, where Eratosthenes served as chief librarian of the great Alexandria library, the Sun cast definite shadows at noon on the Summer Solstice. So how could this be? This is supposedly the well Eratosthenes used for inspiration. Well, Eratosthenes was quick to realize that, for this to happen, the Earth had to be spherical. However, while lesser minds may have been content in this knowledge, Eratosthenes was not, he thirsted for more. Calculating the angle of the shadows, Eratosthenes determined that the shadow in Alexandria was at an angle of about 7.2 degrees, or about 1/50th of a circle. Thinking in terms of the big picture, he reasoned that the distance from Alexandria to Syene was about 1/50th the distance around the Earth. So, finding the distance between these two cities and then multiplying by 50 would give the circumference of the Earth, easy in principle but not in practice. As hard as it may be to believe, Eratosthenes hired a man to pace out the distance between the two cities! Despite no one having paced out such a great distance before, the distance was determined with remarkable accuracy, which resulted in Eratosthenes coming to a circumference within a few percent of Earth's actual circumference of just under 25,000 miles. Not bad for the 3rd century B.C.